Here are a list of resources where you can find further information. 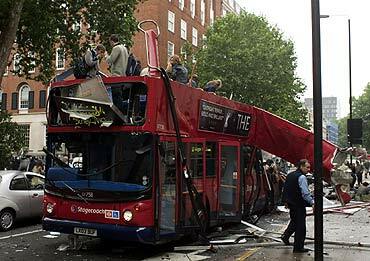 The Government’s official narrative of the 7/7 London Bombings, May 2006. The original Ludicrous Diversion film, released in September 2006, highlighting the contradictions, discrepancies and errors with the official narrative. The first 7/7 Ripple Effect video from November 2007 – presents the problems with the official version of 7/7 and also presents its own conspiracy theory. The BBC’s Conspiracy Files: 7/7 video – counters some of the arguments presented by 7/7 Ripple Effect. Supports the governments conspiracy theory. Dr Rory Ridley-Duff’s What Happened at Canary Wharf on 7th July 2005 video – an analyse of the previous two videos and further research into the alleged Canary Wharf incident. Nick Kollerstrom’s Terror on the Tube book – and good and thorough investigation of the many unresolved issues with the official account of 7/7. The comprehensive July 7th Truth Campaign website. Also, the quiz provides links to many more resources.